In an era when women are more and more prominent in fields such as business, law, and medicine - why are there so few women pursuing career in Information Technology, Engineering and Science? Our panelists for our upcoming event "Advancement in STEM" are phenomenal women who are making significant contributions to technical communities that improve and impact our society through education, entertainment, and engineering. Do we need more outreach at the high school level? Do we have the right mentors available? Do we have our eyes open to the environmental and social barriers that some girls face? How important are networks and networking events in this field? A tenet of WITI is that we strive to continue expanding with the purpose of encouraging females to stay and excel in STEM fields. Our mission is to empower women to achieve unimagined possibilities and transformations through technology, leadership and economic prosperity. We hope you'll join us as we explore how women technologists, scientists, mathematicians, and achievers who are not only adding diversity to the world around us but are also essential participants in the health of the global economy! 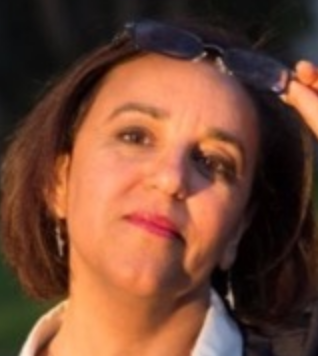 Simin Haik is a business professional with a background in management, technology and business development. She is currently a consultant at Promenade Software as well as a C-Suite Advisor for Astia Angels, where she offers creative solutions to technology and business problems for startups founded by women. Simin is an effective leader, creating profitable products in fast-paced and dynamic environments. She has directed the creation of the engineering and project management teams in various fields. She has extensive experience with medical devices, embedded software and controlled environment, SaaS, web based and mobile apps, and transitioning hosted systems to cloud based environment. Simin earned her B.SC. in Computer Science from the Technion Institute of Technology, and has since lead technical projects for companies such as Fox, Sony, as well as merger and acquisition of startups Curlin Medical and AMT. She enjoys mentoring women in the fields of science and technology. 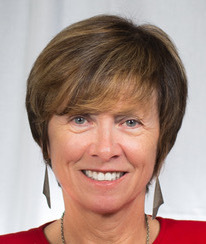 Helen Norris is the Chief Information Officer at Chapman University. She has almost 30 years' experience working in IT leadership roles. Originally from Ireland, Helen has earned a Bachelor's degree in Mathematics from Trinity College, Dublin, Ireland, and a Master's degree in Computer Resource Management and Business Administration from Webster University in St. Louis. 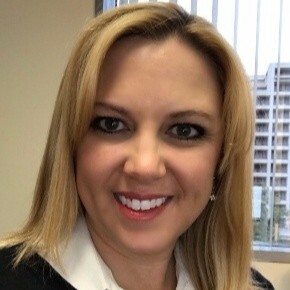 Helen holds a project management certification (PMP) from Project Management International (pmi.org) and is a fellow of the Educause Leading Change Institute. She serves as a board member of the Southern California Society of Information Management (scsim.org) and a trustee of the National Endowment for Financial Education (nefe.org). Helen also previously served as the Director of the Sacramento Women in Technology International network (witi.com). Keeping the lights on for an entire city is something that is often taken for granted. Mrs. Tovar-Mora's great passion for making a significant impact has led her to be part of the largest municipally owned utility in the nation, the Los Angeles Department of Water and Power (LADWP), doing her part to provide reliable and sustainable energy to the community. Her career in the utility industry began as a Staff Mechanical Engineer at ASWB Engineering; a woman owned and operated consulting engineering firm. However her passion for inspiring women engineers began in college where she held multiple leadership roles in the Society of Women Engineers (SWE), the Society of Hispanic Engineers and Science Students (SHPE), American Society of Civil Engineers (ASCE), and the Engineering, Computer Science and Technology Student Council (ECST). These leadership experiences helped launch her engineering career with an internship at the City of Santa Ana. Her educational background includes a Bachelor of Science and a Master of Science in Mechanical Engineering from California State University, Los Angeles (CSULA). 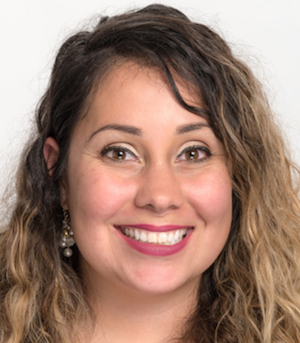 Her future educational and professional goals are to obtain a Master of Business Administration (MBA) and become a Licensed Professional Engineering in the state of California. In her free time she enjoys planning vacations with her husband and participating in STEM outreach for students. Michelle believes that, "with dedication and self-motivation anything is possible." Hollie Choi is Executive Director of Information Technology for 20th Century Fox and has experience across the entertainment, government, mortgage banking, and software development consulting industries. Leveraging extensive experience in project management for entertainment companies, her areas of expertise include business intelligence, program management, intellectual property management, and metadata management. Hollie is a founding member of two employee resource groups supporting the women at Twentieth Century Fox and is a board member of The Foundation for Pierce College. Expert DOJO is on the 3rd level of Santa Monica Place Mall. It is adjacent to the escalator just east of the Cheesecake Factory. Follow mall directional signs to the "DINING DECK". When you get to the 4rd level you'll see a pleasant person holding a WITI sign, directing you to the entrance. Closest mall parking (P7) entrance is from Broadway. Parking is $4 for 3 1/2 hours and must be pre-paid from vending machines inside the structure before exiting.